From the County Court Judge to the clerk at your favorite store, it’s more common than not to have a tattoo. Unfortunately, the increasing commonality of tattoos has done nothing to lessen the stigma that surrounds those who have them. Many work environments prefer a conservative staff presentation over self-expression and wearing a turtle-neck every day is rarely the answer. Tattoo concealers offer an easy solution to covering your ink when you need to be discrete. Here is a list of the top ten best tattoo concealing options. 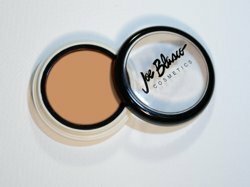 Touted as the highest quality concealer available, Joe Blasco Concealer Dermaceal Tattoo Cover 2 is a highly pigmented and waterproof concealer. Sold in a flat, compact design, it’s easy to dab a little to hide freckles or scoop out a little more to cover an arm tattoo, however, with its dense consistency it is best to start with a little and add more if needed. This concealer is recommended to be used underneath daily skin cream and finished off with Blasco No-Color powder. Available in 4 shades, the Laura Geller Real Deal Concealer is a full coverage concealer for all skin discolorations and conditions, not just tattoos. This silicone based concealer is water resistant and offers a smooth and oil free application. With lots of added vitamins, the Real Deal Concealer is healthy for your skin as well as being an effective cover up. The formula can feel heavy so it is recommended to use a small amount and apply with a brush for even coverage. The highly recognizable and affordable brand, e.l.f. 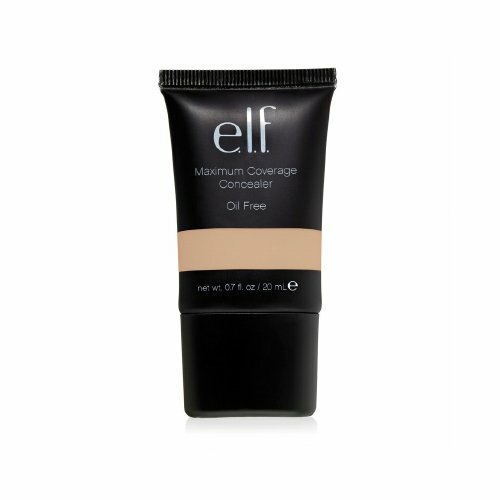 offers a Maximum Coverage Concealer in an oil free formula that is long-lasting and provides good coverage for blemishes and skin imperfections. A little goes a long way which increases the bang you get for your buck. There are 6 shades to choose from making this concealer appealing to a mass audience. When covering tattoos or other blemishes it can be hard to match the concealer to the skin depending on the area of the body. 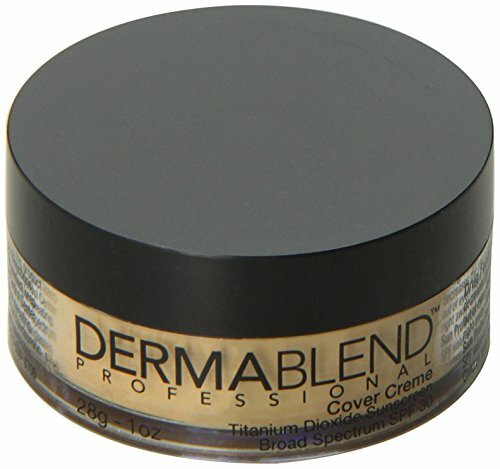 Dermablend Cover Foundation offers 18 shades in natural tones making full coverage available regardless of skin tone. This concealer is a lightweight, long lasting crème based formula that includes SPF for sunburn protection. Finger application is recommended followed by a setting powder to seal the concealer. More than one coat may be required for darker areas so allow the concealer to set up before moving on to the finishing steps. Developed to completely conceal the darkest and most stubborn of skin discolorations and tattoos, the Killer Cover Total Blockout Makeup is a thick, waterproof formula modeled after stage makeup and designed to stay where you put it regardless of heat, sweat or smudging. 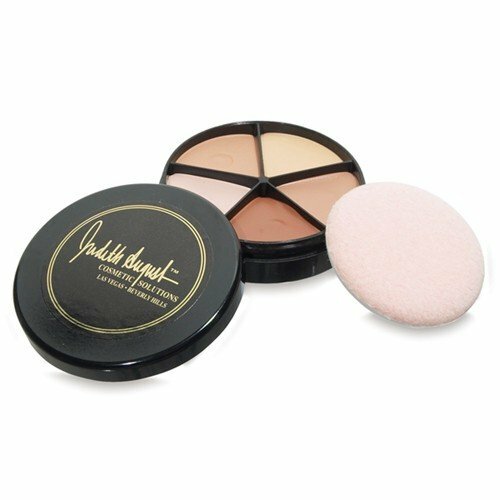 This concealer comes in a round, 5 shades in one style compact allowing the user to blend the colors for the perfect skin tone match. If there is anything Kat Von D is known for, it’s tattoos and makeup. She has combined her expertise in both with the Lock-it Tattoo Concealer. This concealer is crème based formula that is long lasting as well as oil and paraben free. 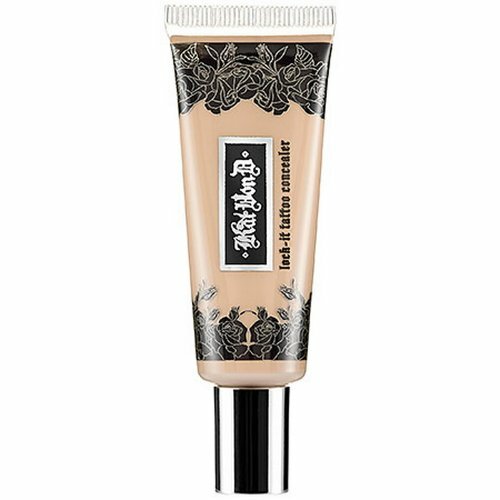 The Lock-it Tattoo Concealer can be used alone or as part of the Kat Von D four step process for complete tattoo and blemish coverage. 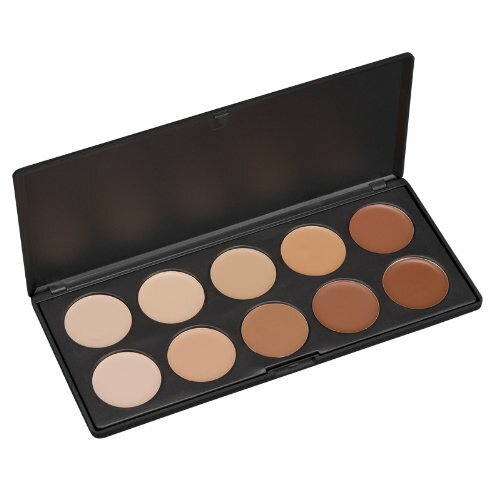 Coastal Scents Professional Camouflage Concealer Palette offers 10 cream based concealers in one easy to use palette style compact offering full coverage to any skin tone. The product is thick in consistency, therefore, it is recommended that a concealer brush is used to get an even application and blend of color. For best results use along with a daily face cream and set with a finishing powder. The Hard Candy Glamoflauge Heavy Duty Concealer is just that, heavy duty. Its dense consistency allows a little dab to provide a lot of coverage. Apply with fingertips for even coverage and the most effective blend. Depending on how dark and large of an area being covered, more than one application may be required for the best result. Recommended for use with a setting powder when using to conceal tattoos. Specifically designed to cover tattoos, Tattoo Camo Complete Coverage Tattoo Concealer Paste is a concentrated concealer that applies smoothly and dries quickly. Most tattoos can be concealed after two coats of the concealer paste. Sponge application may be the best technique for this type of concealer as it sets best when dabbed as opposed to rubbed or brushed on. For best results, use with a setting spray or powder. 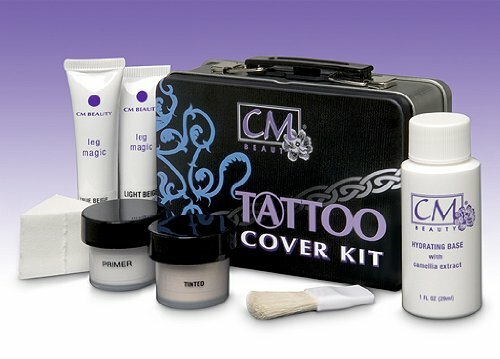 While other products offer separate steps to provide tattoo coverage, CM Beauty has combined all of the steps into a complete kit. The kit includes primer, lotion, finishing powder, two shades of leg and body cream, applicator sponge, powder brush and complete instructions. Although practice may be required to get the correct blend, this kit offers complete coverage for any area of the body. Finding the right makeup can be a challenge even for a professional make-up artist. No one’s skin is the same, let alone their skin tone. Add a tattoo or birthmark to the mix and things become even more complicated. The best thing anyone can do when trying to cover up that tattoo for their next interview involves trial and error, practice and patience. It’s unlikely that the right combination of make-up and technique will be discovered on the first try so be prepared to make a couple of attempts before finding the right one. Don’t expect to look like you were just airbrushed either. 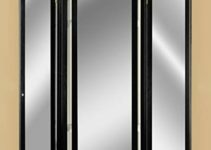 Because of the density of most highly pigmented concealers there is an increased risk of the makeup settling into fine lines, especially when used on the face. 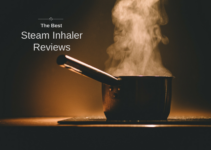 Be sure to follow the instructions as laid out by the manufacturer and remember that it is easier to add a little more than it is to take a little away. So start small and add additional coats as necessary allowing for drying, or set up, time in between each coat. Using a finishing powder can also make a big difference in the length of time the makeup lasts, as well as preventing smudges or a cakey look. Finishing powder can smooth out the thick appearance of most concealers making the cover up appear more natural. With the right technique and one of these top concealers, you will definitely be able to keep that tattoo all to yourself.